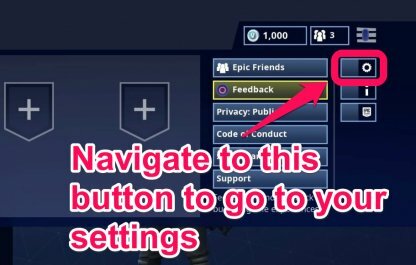 This guide will help you activate the voice chat feature on your platform of choice to communicate with your friends & teammates on Fortnite Battle Royale. Check Out Menu Functions Here! Voice Chat is a feature in Fortnite that allows players to interact with others while playing the game. Voice Chat helps teams coordinate their next move while playing Fortnite. It enables an easier way of communicating between players, and also helps teams work better together. 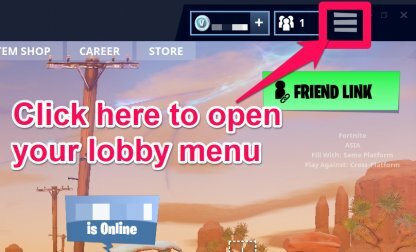 On the lobby page, navigate to the three bars on the top-right part of the page to open your lobby menu. Clicking the gear will then bring you to the settings page. Navigate to the speaker icon on the top part of the screen to open the audio options. From here, scrolling down will show you the toggle audio options. 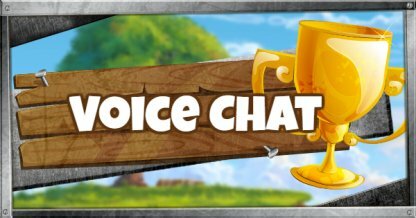 You will be able to set up your voice chat options here. Enabling Push To talk will require you to press a button in order to chat with your team. This removes unnecessary outside noise for better communication. You can turn off Push To Talk to allow continuous voice chat. By doing this, you won't need to press an extra button while in stressful situations, such as an ambush or while building quickly. Adjusting this setting will allow you to choose what device picks up your voice. It allows you to choose equipment that allows for clearer communication. If the Push To Talk option is turned off, adjust your mic sensitivity on your desktop settings so it won't pick up any unnecessary noise. Adjusting this setting will allow you to choose which device will play your sounds. This is a great way to output your audio to better equipment to better hear your teammates! Adjusting your keybindings is necessary if you have enabled the Push To Talk option. Assigning the Push To Talk button to a more convenient key will make chatting easier for you. Check Out Recommended Keybinds Here! This section will tackle enabling and setting up other console's voice chat. 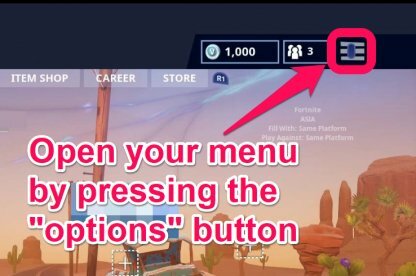 From the Lobby, open your menu by pressing the "options" button. Navigate to the gear icon to open your settings. Navigating to the speaker icon will open up your audio options. You can enable voice chat here. The Playstation 4 does not feature a Push To Talk option. You will need headphones plugged into your PS4 Controller's headphone jack to use the voice chat feature. At the time of writing, testing voice chat on PS4 does not seem to pick up audio from PC players for now. This will be updated as soon as the issue is resolved. Open your settings using the "+" button, and navigate to the audio tab. Enable the voice chat option. The Nintendo Switch does not feature a Push To Talk option. You will need headphones plugged into your Switch's headphone jack to use the voice chat feature. Opening your settings from the lobby will allow you to toggle voice chat options. Mobile also features a Push To Talk option. You can also toggle it in the settings. 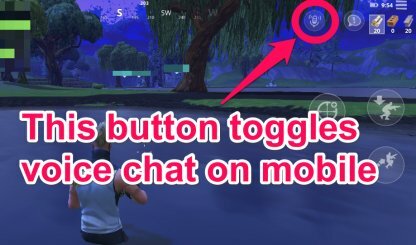 You are able to use Push To Talk on mobile by pressing the button highlighted above.